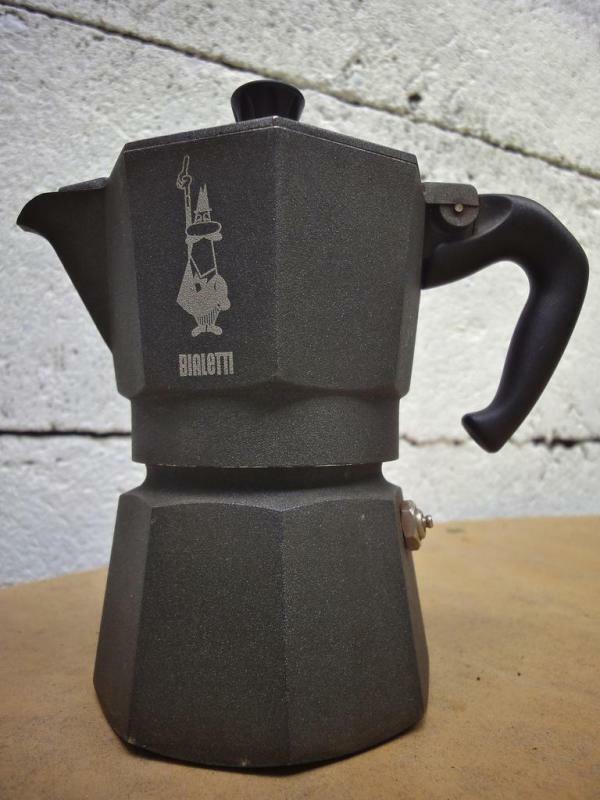 An anodized stove-top espresso maker. 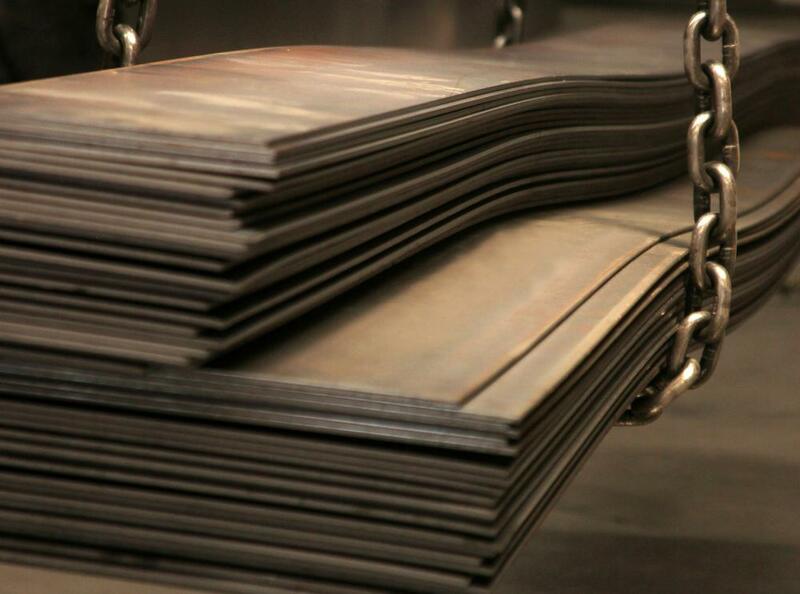 Aluminum sheet metal is anodized to resist corrosion. Many metals are structurally weakened by the oxidation process, but not aluminum. Aluminum can actually be made stronger and more durable through a process called 'anodizing'. Anodizing involves placing a sheet of aluminum into a chemical acid bath, quite often acetone in laboratory experiments. The sheet of aluminum becomes the positive anode of a chemical battery and the acid bath becomes the negative. An electric current passes through the acid, causing the surface of the aluminum to oxidize (essentially rust). The oxidized aluminum forms a strong coating as it replaces the original aluminum on the surface. The result is an extremely hard substance called anodized aluminum. Anodized aluminum can be nearly as hard as diamond under the right anodizing process. Many modern buildings use anodized aluminum in places where the metal framework is exposed to the elements. Anodized aluminum is also a popular material for making high-end cookware such as frying pans and pots. Heat is distributed evenly across anodized aluminum, and the process of anodizing provides a naturally protective finish. It is possible to use another electroplating process to make anodized aluminum look like copper or brass or other metals. Special dyes can also be used to color the anodized aluminum for decorative uses. Because of its strength and durability, anodized aluminum is also used in a number of other applications. Many of the satellites circling the Earth are protected from space debris by layers of anodized aluminum. The automobile industry relies heavily on anodized aluminum for trims and protective housings for exposed parts. Furniture designers often use anodized aluminum as the framework for outdoor pieces as well as the base metal for lamps and other decorative items. Modern home appliances and computer systems may utilize anodized aluminum as protective housing. Anodized aluminum may not be appropriate for all applications because of its non-conductive nature. Unlike other metals such as iron, the oxidation process doesn't seem to weaken aluminum. The layer of 'aluminum rust' is still part of the original aluminum and will not transfer to food or easily flake off under stress. This makes it especially popular for food-service applications and industrial applications where durability is crucial. How Much Aluminum Is Thrown into the Trash on a Regular Basis? What Are the Pros and Cons of an Anodized Frying Pan? What Is Infused Anodized Cookware? What Is Anodized Aluminum Sheet? I have a serving cart made '50s in champagne-gold anodized aluminum (dyed color). Three trays sit on the top shelf of the cart, and there are tray-shaped dark gold-brass areas very noticeable when the trays are removed in actual use of cart. Really disfigures the cart. What caused these darkened areas? How can they be lightened back to the original champagne pale gold? 1) What method do I have to use to have the anodized Aluminum surface as hard as Diamond. At present, the anodizing surface, the dark color comes off the anodized surface. 2) Is there any method of Conductive Anodizing in Aluminum? Some part that we anodized must be conductive. We use anodized aluminum cooling trays in our popcorn business and the trays are leaving blacks marks on our light-colored aprons and shirts that we cannot wash out. They ruin everything we touch with them. Does anyone know how to get these black marks out of clothes? Does anyone know how we can prevent them or whether we can seal the tray surfaces in some way to prevent this tarnish from rubbing off on our clothing? Some of the comments here are talking about fading out anodized aluminum products. In fact, if the processes of anodizing are well done, anodized color aluminum products will not fade. 1.Even conditioning of the anodizing film before dying color process. 2．Concentration of chemical acid liquid. 3. Concentration of aluminum ion in the acid. 4. Temperature of anodizing process. 6. Depth of anodizing film. If all the above important processes are done properly, coloured anodizing aluminum products will not fade out. Is there is any way to do anodizing in situ on the aircraft skin? Please advise me: can anodizing aluminum can be done on printed ceramic tile or printed glass? A lot of confusion has developed from this article. Anodizing is a plating operation in which a metallurgical bond forms on the surface of whatever material you would like. In this case we are discussing aluminum. Aluminum naturally (occurs during solidification in air) forms a very stable oxide Al2O3. This oxide is a transparent film across the entire surface, and is what makes aluminum naturally corrosion resistant. This "film" can be artificially plated on any electrically conductive material or non-electrically conductive materials that have been coated with an electrically conductive coating of some kind. present in stainless steel). This will only be true if you do not deeply scratch the pot in a way such that you penetrate through the "film" on the surface. You can paint anodized aluminum, but it is usually not necessary as anodized parts are usually colored and sealed when you order them. Imparting vivid, permanent color that will not fade, dull, peel, scratch, etc with time if the main reason to use an anodizing process. In order to impart a different color, then this must be done at the manufacturer when the hot metal is inserted into a dye bath. Once this occurs and the metal is sealed (inserted into cold water) then the color imparted is typically permanent. In order to "re-anodize" the material with a different color would take heating the material up to near liquid temperatures or quite possibly liquid temperatures to remove the color. At that point you might as well buy another part with the correct color. As far as will stainless steel and aluminum corrode if placed together, yes, the stainless steel will corrode at the expense of aluminum due to the galvanic series (aluminum is lower and therefore more noble). The rate at which this will occur is fairly low, so it could be done, but I would not recommend it unless you are using this for a quick fix followed up by a better, permanent fix. The best fix would to be use all of the same material (one or the other). As far as wear on the materials in combination, depending on the pressures and temperatures you are talking, you may have issues with auto-galling. This may occur if you reach high enough pressures and temperatures to locally liquefy the aluminum near the pin due to pressure. This may cause sticking as well as will drastically increase the friction of the joint which may lead to vibration and or mirco cracking of the case (aluminum does not do well in vibration circumstances). This is all hearsay however as I do not know the particulars of your situation (pressure, temperature, cycle frequency, casing bracing, etc). I hope I have answered a lot of questions on this thread appropriately. If not, please feel free to ask for clarification or another post. P.S. I am a metallurgist by trade, so if you disagree with my claims, please let me know so I can research them to see if I am, in fact, in error. I have an allergy to nickel and had to buy anodized pans. how does the process eliminate the nickel? I have some older aluminum cooking pots. can they be anodized? how can i make a photo on an aluminum plate and what is the process of making the metal photo? Color is not coming after anodising. we are using ac for the coloring after anodising. How can you seal an anodized unsealed box before you print on it? I was wondering. when i clean aluminum parts i work with it usually comes back with a white residue. i would think to call it oxidation. im not quite sure. but do you think if i did a brushed anodized finish of the aluminum parts it would keep that nice clean finish or eventually come back with that white residue? Thank you. Should you paint anodized aluminum? will it last. Why do some black anodized parts have a gray cast while others are so black and glossy. my customer wants black and glossy not gray or smokey looking. Thanks for posting this article. I came to this page to know it, because we use anodized aluminum plates for offset printing. I'm thinking about purchasing a multi-material glass cutter called Onyx 90. It's made with anodized aluminum. A more expensive competitor is Fletcher 3000. It's made with stainless steel. It cost twice as much. Do you have an opinion about which product might be the better one, based only on above information? What can I do to get the anodization off of the surface of aluminum so I can buff it out? Ron. can you tell me the sequence of process for color anodising on aluminum? 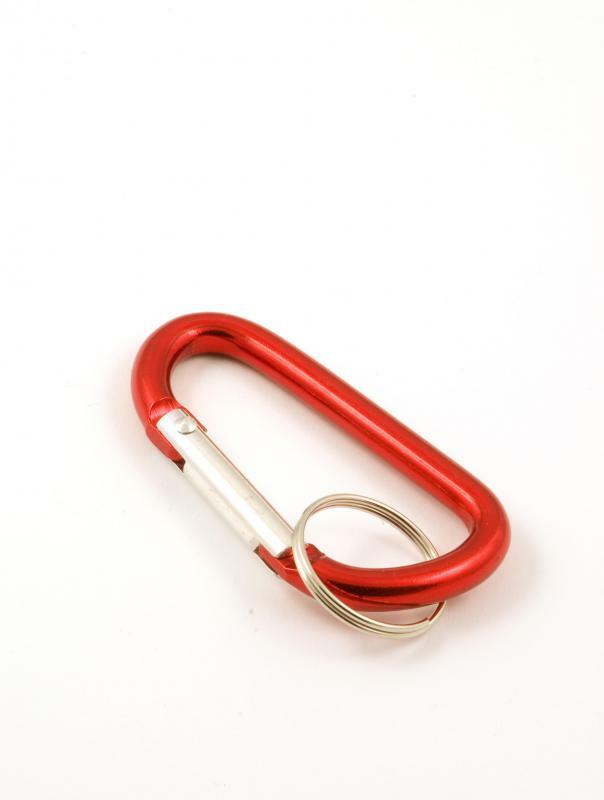 Can anodized aluminum colored gray be reanodized to the color of red? Will anodized aluminum withstand daily spraying with amonnia? Why doesn't .090 aluminum come anodized and why can't .080 anodized aluminum be welded, as in making channel letters for the sign industry? Can you paint anodized aluminum? We used black anodized aluminum plates for fence plaques. they were engraved with names and placed around our cemetery. After about 4 to 5 years, they have turned a gold color, and are hard to read. did the manufacturer use the wrong process? I would think they would last a lot longer. can oxidized aluminum tarnish or rub off on one's clothes or skin? How well will anodized alum. pipe stand up when used in the marine industry (yachts)as a through hull penetration for raw salt water intake and or sewage systems. How does the material effect the surrounding alum. that is not anodized in a constant saltwater environment. does it not cause an electrolosis problem between the two due to the electric charge that some anodized alum. materials retain. Acetone is actually a ketone. Ketone is just a general label for several chemicals. Why aren't pots and pans made of hard anodized aluminum dishwasher safe? A question concerning anodized aluminum (6061-T6)as a housing for a 303 stainless steel, spring loaded plunger pin (.25" diam). Would I have an issue with wear or corrosion if I used this combination? The pin has about .38" lng min in the alum housing & travels about .25" (low cycles, occasional, moderate side load on extended pin). I know it's not the total picture, but would appreciate any feed back. "chemical acid bath, quite often acetone" Acetone is not an acid, and will not promote anodizing as described. It is a ketone, and if it is used in the anodizing process at all it is for degreasing. If i was to place aluminum that is anodized to 25 microns attached to brass stands into a fountain that contains bromide is there any way to stop corrosion? What is the distinctive molecular basis for this advantagious oxidation of aluminum, as a opposed to other metals which are degraded by rusting?